I’ve said it once and I’ll say it again – there’s very few food combinations that can compete with peanut butter and jelly. 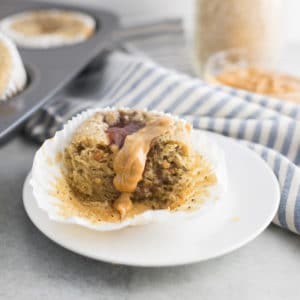 They just taste so great together and this muffin recipe take this whole flavor duo to the next level. Even though I’m past my back to school days, this time of year still feels like “back to school” for me. 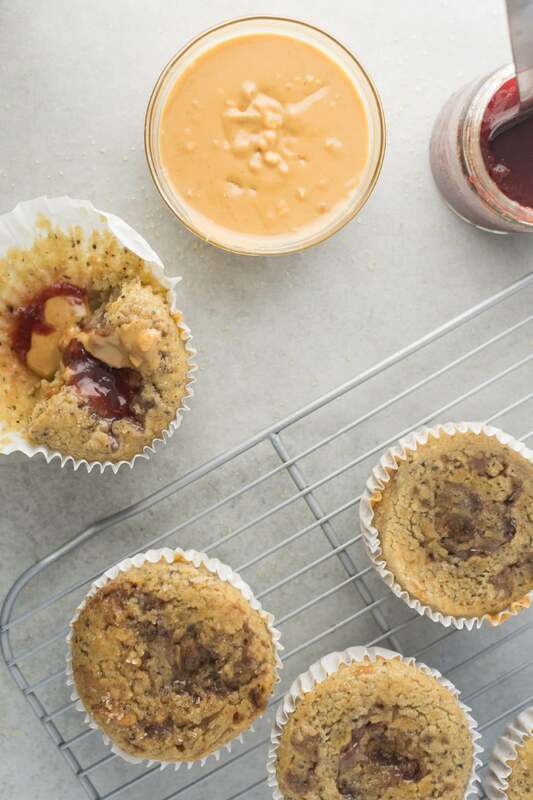 Maybe it’s all the Facebook posts I see of kids off to school, or still semi mourning my college days, but you don’t need an excuse to indulge in a classic peanut butter and jelly sandwich, or in this case a peanut butter and jelly muffin. 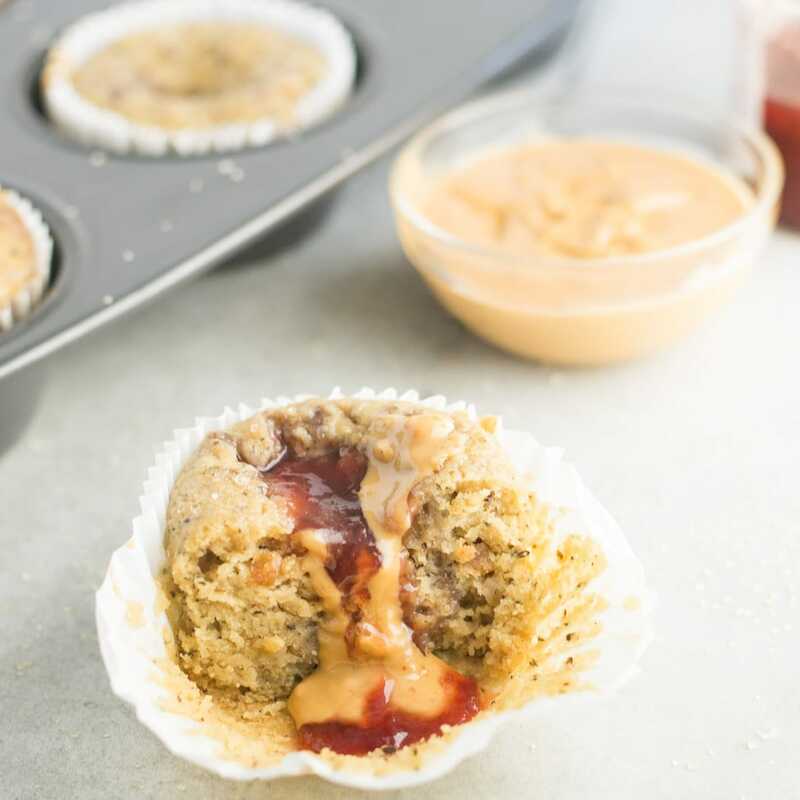 These vegan pb and j muffins are moist, cakey, and flavorful all in one. 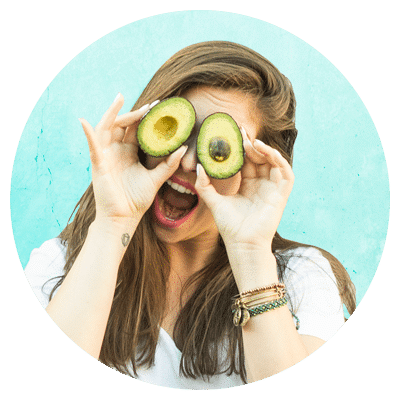 I don’t want to stretch it and say they are healthy, BUT they are a healthier option than reaching for processed snack that’s for sure. Flax seeds are used as an egg substitute and they are a great source of fiber and omega 3’s. 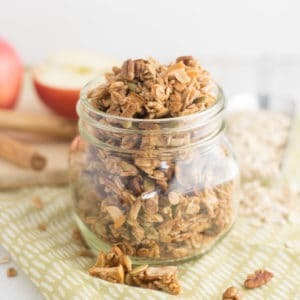 You can even take this muffin recipe to the next level and use homemade chia jam, like I used in this granola bar recipe for an added health benefit. They are great for breakfast on the go or a snack to get you through that mid day hunger. 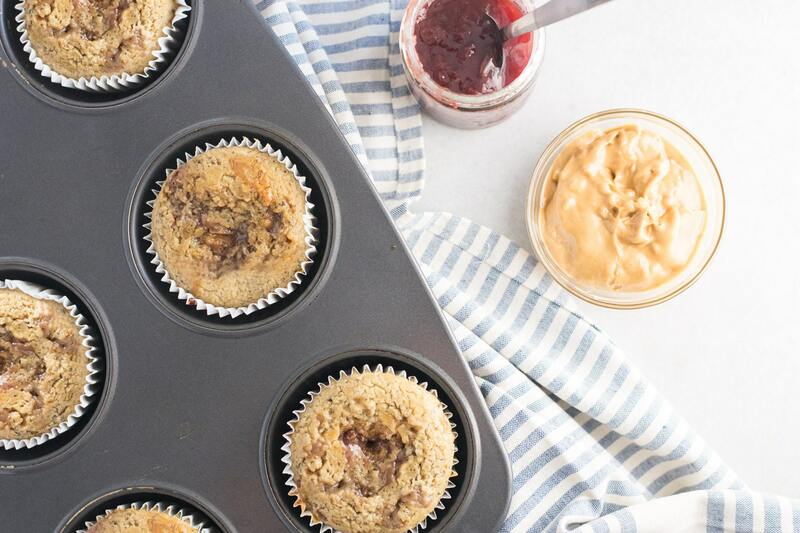 Let’s welcome fall and back to school with open arms and eat all the peanut butter and jelly muffins, shall we?! For me, cooking is like a million times easier than baking. I feel like I can be more creative and it comes more natural to me. Baking is such a science. 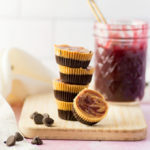 I would be lying if I told you my kitchen wasn’t overflowing with muffins when I was testing these peanut butter and jelly muffins. I would make a batch, it wouldn’t taste as I’d hope, and I would research what I can do differently. 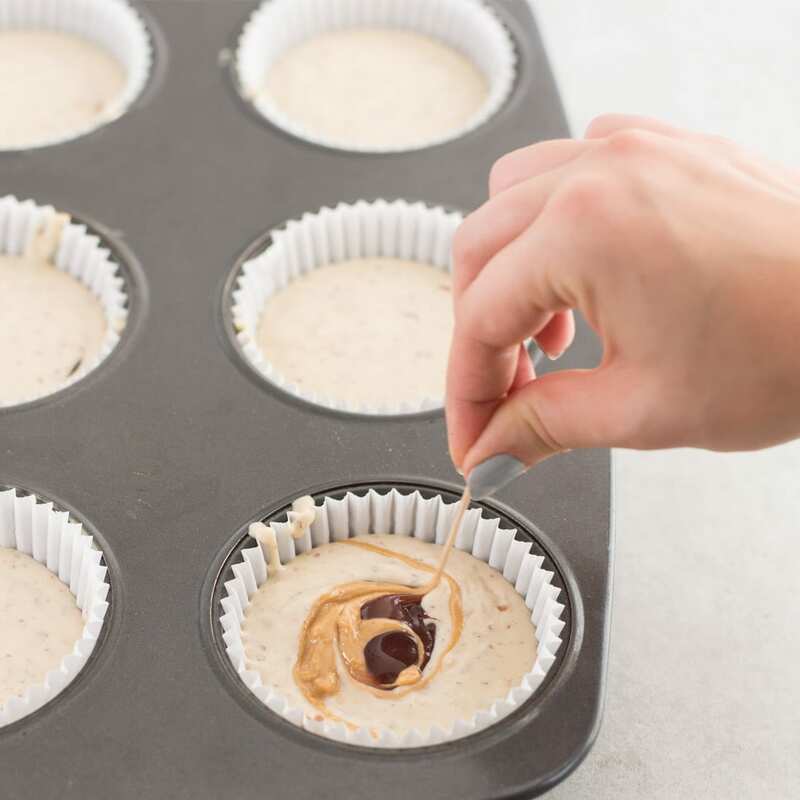 Between getting that perfect balance of dry and wet ingredients, oven temperature, and achieving the perfect mixing method was a task in itself. Don’t even get me started on understanding leavening agents. Before I turn you away from this recipe, I promise it’s EASY! I did all the hard work so this recipe is fool proof. Muffins really are not hard to make, it’s just about getting the recipe down. I have a whole new respect for all the bakers out there. 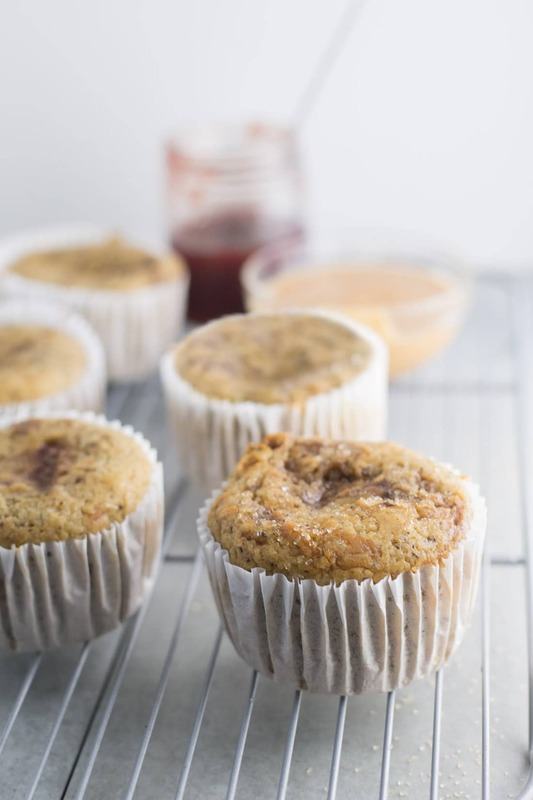 These vegan muffins take on the classic peanut butter and jelly flavor. 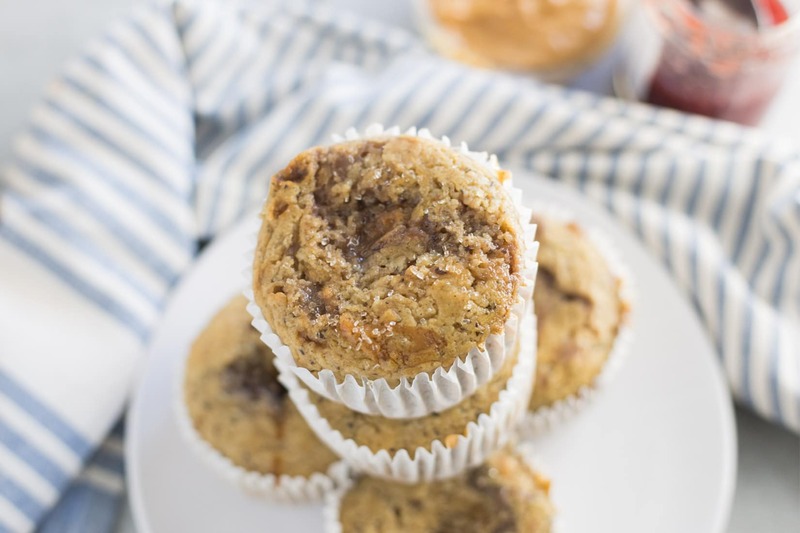 Try this muffin recipe for a quick breakfast on the go or a mid day snack. Remove flax egg from the fridge. It should be an "egg-like" gelatinous consistency. Add to wet ingredients. 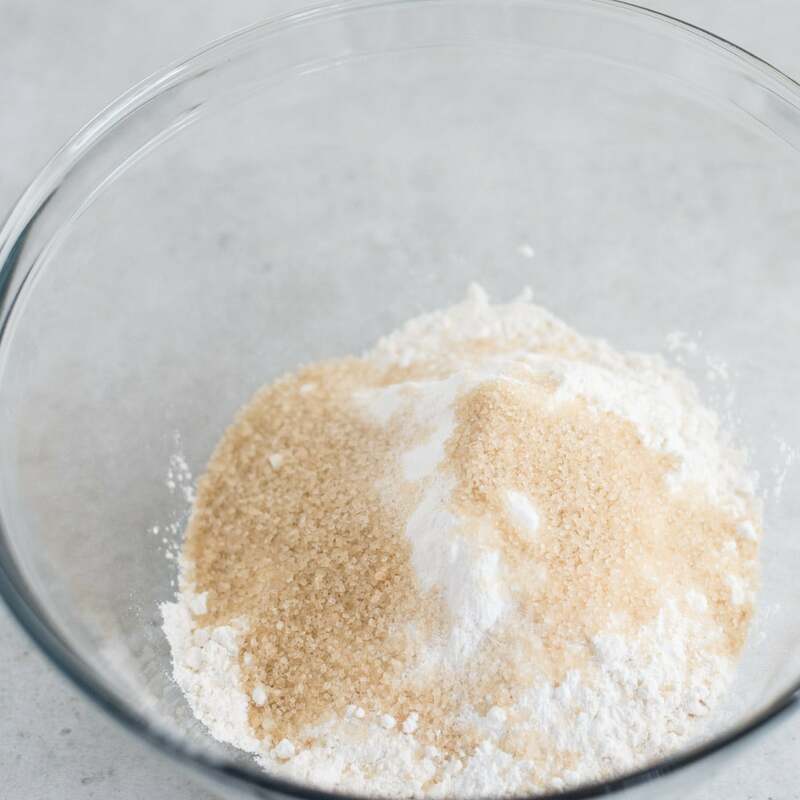 Pour wet ingredients into the bowl of dry ingredients and fold with a rubber spatula. Make sure to not over mix in this step. Seeing some lumps and flour is okay! The batter should be thick and scoopable, not pourable. What’s your favorite muffin recipe? Let me know in the comments below! 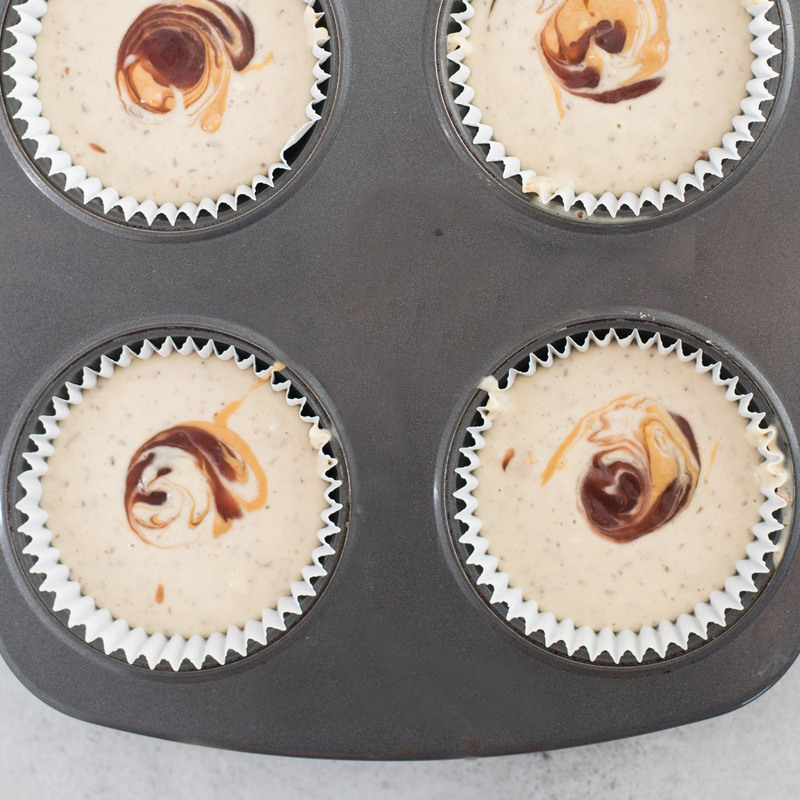 Also, if you try this vegan peanut butter and jelly muffins tag me on Instagram @themindfulavocado or #mindfulavocado – I’d LOVE to see! Cheers, friends! I tried these muffins and they were so good! 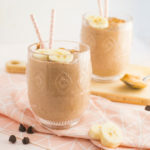 I used almond butter and they are fantastic! Almond butter sounds like a great sub! 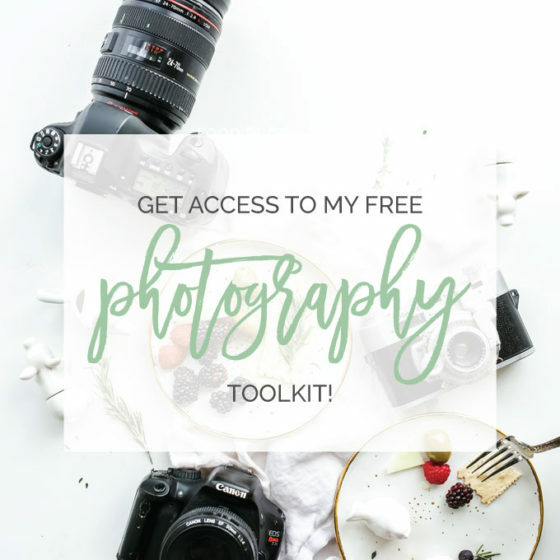 Thanks for sharing, Cathy!